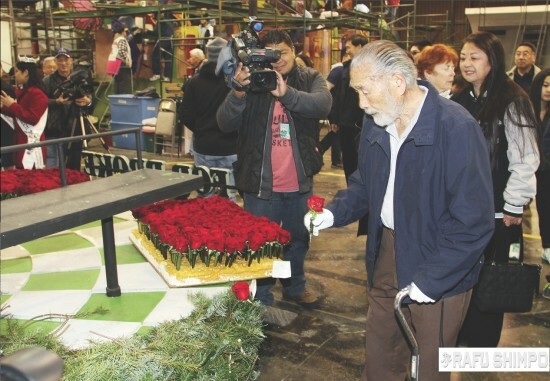 Five Nisei soldiers selected to ride on Alhambra’s Rose Parade float. Five Japanese American veterans of World War II, who served in segregated units in Europe and the Pacific, and two alternates have been selected to ride on the City of Alhambra’s Rose Parade float. Following a nationwide search, the participants were selected by the City of Alhambra with assistance from Go For Broke National Education Center (GFBNEC). 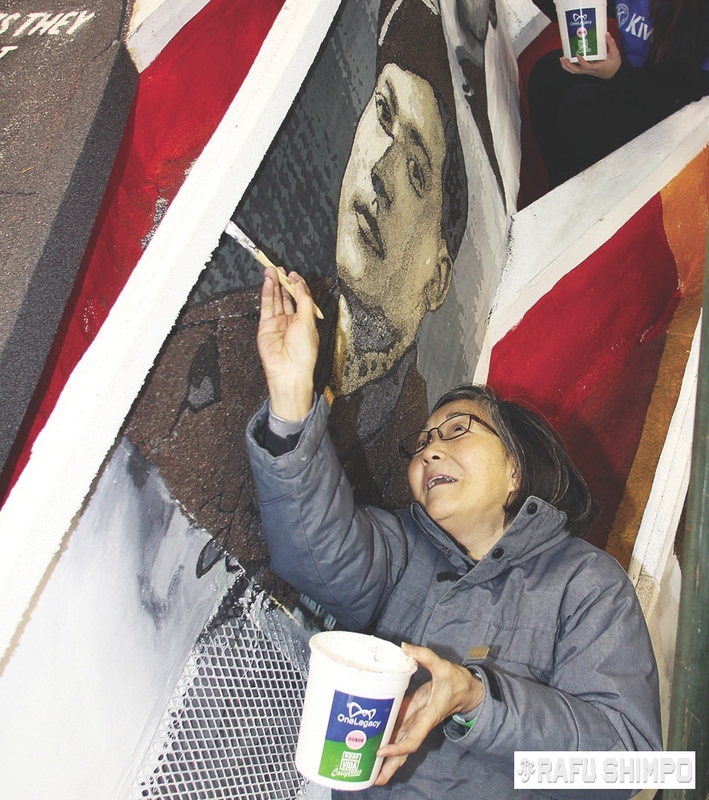 Presented by Honda, the 41-foot float — aptly named “Go For Broke” after the Japanese American soldiers’ battle cry, which reflected their willingness to give their all for their country — will feature these proud American heroes sitting atop the structure. Dating back to 1890, the Rose Parade, held in Pasadena, is an American tradition of welcoming the new year and is seen by over 700,000 people who watch the parade along its 5.5 mile route, with an additional 47 million television viewers domestically, and 28 million viewers internationally. • Tokuji “Toke” Yoshihashi, 91. Born on Jan. 8, 1923 near the Rose Parade site on Fair Oaks in Pasadena, he attended local schools in Pasadena. 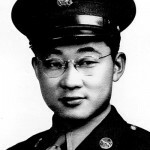 After the attack on Pearl Harbor, his family was evacuated as part of the government’s internment of 120,000 Japanese Americans. 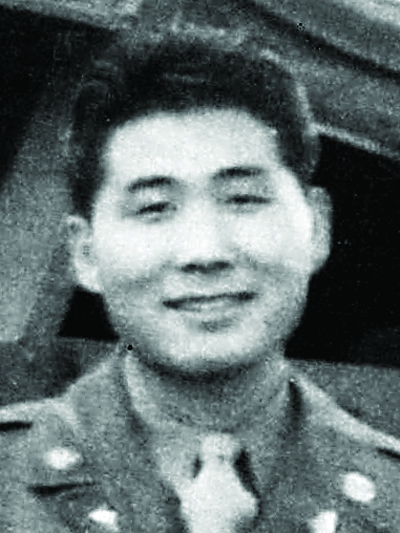 In May 1944, Yoshihashi and his brother Ichiro were drafted into the U.S. Army while their family remained interned in Gila River, Ariz. After training at Camp Blanding in Florida, he joined the 100th Battalion in Epinal, France. In June 1944, the 100th Battalion joined the 442nd Regimental Combat Team, which in March 1945 returned to Livorno, Italy to join the 5th Army in its campaign to break the Gothic Line. 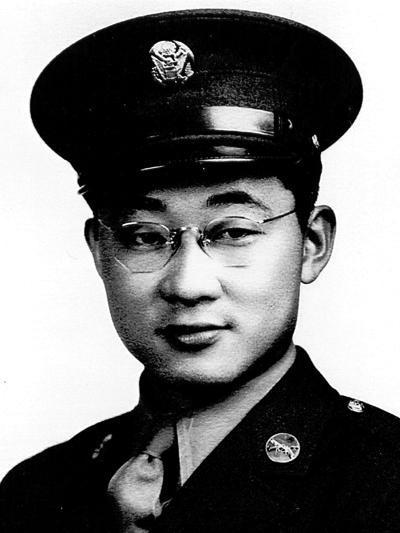 Being a member of Company A, Yoshihashi celebrated V-E Day in Europe in May 1945 and in June 1946 marched down Constitution Avenue in Washington, D.C. under the review of President Harry Truman. In November 2011, he and his fellow veterans were awarded the Congressional Gold Medal. • Masao “Mas” Takahashi, 90. Born on Aug. 9, 1924 on a farm in Modesto, he and his siblings were placed in a home for children after the death of his mother. From the age of 4 until he was 14, he lived in San Francisco and moved to Montana and Idaho, where he was a sugar beet farmer before moving to Detroit. 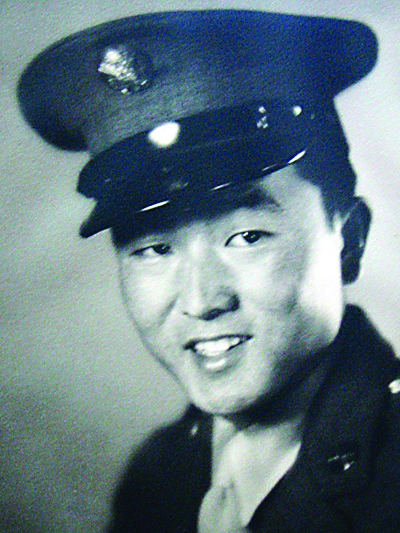 After spending a year at Manzanar, he was drafted into the 100th Battalion. 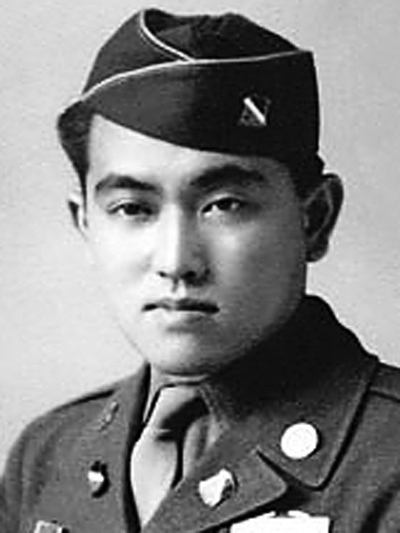 After 12 short weeks of basic training, Takahashi was sent to Europe, where he served in the Champagne Campaign, the Gothic Line and Po Valley while his older brother was a member of the 442nd RCT. After the war, he opened a gas station and truck stop. 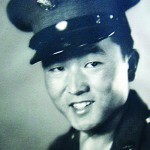 He is part of the small band of veterans who were motivated to build a monument to salute all World War II Nisei veterans. • Yoshio “Yosh” Nakamura, 89. Born on June 30, 1925 in Rosemead, he grew up in the San Gabriel Valley, where he attended Savannah and Columbia schools and then El Monte Union High School until his family was incarcerated. They were first housed in horse stalls at Tulare Assembly Center and then moved to Gila River. In 1943, the U.S. government was accepting Japanese Americans for the armed services. 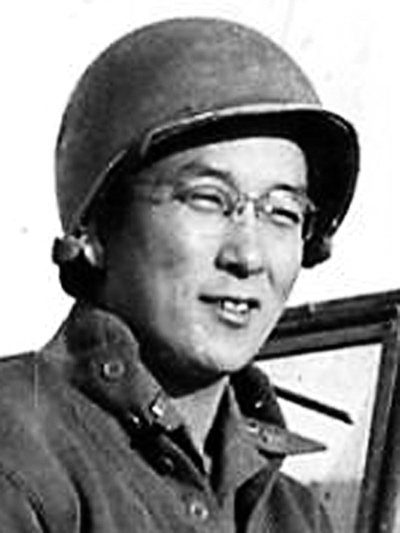 Nakamura was inducted into the Military Reserve, and ultimately assigned to the 442nd RCT. He fought in the battles that ultimately broke the Nazis’ Gothic Line in northern Italy. 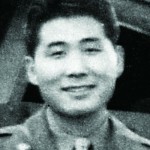 After the war, Nakamura used the GI Bill to enroll at the University of Southern California, majoring in fine arts, and earned a BFA and later a master’s of fine arts. In 1952, he began teaching art at Whittier High School. Eleven years later he accepted a teaching position at Rio Hondo College in the Department of Fine Arts. He was one of the first three instructors to receive a contract as well as the college’s first Department of Fine Arts chair. • Roy Fujiwara, 96. Born on Feb. 15, 1918 in Seattle, where he spent his early years, he excelled in sports during high school. He was a high school state track champion in the 100-yard and hurdle races. 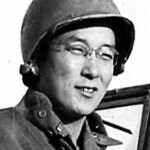 He enlisted on Jan. 19, 1942 and served in the 442nd RCT’s L Company, fighting in Europe, and participated in the Rhineland, Apennine and Po Valley campaigns while his family was incarcerated in the Minidoka and Tule Lake camps in Idaho and California, respectively. Fujiwara was shot in the face by a sniper while responding to a comrade’s cry that he had been hit. He believes that the **senninbari** belt his sister made to protect him in battle did its job as he survived the sniper fire. While recuperating in the U.S., he went to see his sister in Tule Lake, but his visit was cut short due to threats made on his life by those against the war effort. After losing his wife to cancer, the Purple Heart veteran recently moved to Honolulu from Washington to be with his only son. He is devoted to his community garden. • Susumu “Sus” Ito, 95. Born on July 27, 1919 in Stockton, he survived the rescue of the “Lost Battalion” in Bruyeres, France and the liberation of Dachau on April 29, 1945 as a member of the 442nd RCT’s 522nd Field Artillery Unit. With a camera in hand, he documented many moments in the life of a soldier, including one of the darkest, as the 522nd was among the troops advancing into Germany, helping to liberate a subcamp of Dachau. 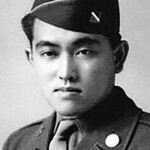 After the war, Ito used the G.I. Bill to earn a Ph.D. in general biology, taught at Cornell Medical School in New York and then joined Harvard Medical School in Boston. He retired as professor emeritus in 1990 and to this day, continues to be active in research in the electron microscope facility lab at the Harvard School of Medicine. He also cooks his own meals, maintains his own residence, and chops his own wood. • First alternate rider: Min Shinmoto, 89. Born on June 30, 1925, he is a resident of Torrance. He was interned in Gila River before serving with the Military Intelligence Service. During his overseas service, Shinmoto led a contingent of 10 MISers in Sasebo, Japan, interrogating repatriates from Manchuria. For this service, he was awarded the Army Commendation Ribbon from Maj. Gen. J.A. Lester in 1946. In 2010, Shinmoto co-authored a book, “Nikkei Generals and Admirals,” praising them for their accomplishments. These Japanese Americans attribute attaining their rank — the first was in 1964 — to the 100th/442nd and MIS. Today, he is involved with the MIS Learning Center in the Presidio of San Francisco. He gathers MIS photos for the center and has traveled there twice this year. • 2nd alternate rider: Yo Oshiki, 96. Born on April 11, 1918 in Los Angeles and raised in Hawthorne, he entered the Army through selective service in 1941 and sent to Fort Riley in Kansas for basic training. He was then assigned to Troop F at Fort Bliss, Texas until he was transferred to Camp Shelby in Mississippi to become an original member of Cannon Company, 442nd RCT. He served in all five campaigns in Italy and France. After the war, Oshiki married and worked for over 10 years for the Alhambra School District and then worked for the Los Angeles County Fire and Data Processing departments until his retirement in 1985. Being a lover of sports, he once ran the mile against Lou Zamperini in a duel meet between Leuzinger and Torrance in 1936. At 96 and still walking without a cane, he expects to drive his Honda Civic until he is 100 years old.